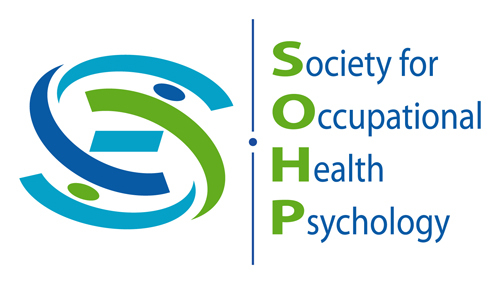 We invite you to become a member of the Society for Occupational Health Psychology! Annual dues are based upon a January 1 – December 31 fiscal year. To apply for SOHP membership, you must first create an account on our website. You will need to provide your educational and academic/professional background and contact information. Dues are payable after you create your account. If you are a current or previous member or a student affiliate of SOHP, you may upgrade and/or renew your membership by logging into your account on our website. If you do not have an account with us, please create an account on our website. You will need to provide your educational and academic/professional background and contact information. Dues are payable after you create your account. If you are a current member or student affiliate of SOHP and want to update your information (e.g., mailing address, email, employer, etc.) with us, please log in to your account on our website. Once in your account, please click your name (typically in the upper right corner), and click “edit my profile”. If you are new to our website, here are a few notes that will help you navigate in creating your account. As you create your account, you will be directed to a profile screen, where you are asked about your email addresses, phone numbers, website, social media profiles, home address, etc. You may find some of these questions odd, but unfortunately, we are not able to modify or remove these questions. Please note that the only required information on this screen is your primary email address. Please feel free to skip all the other questions and directly continue to the next page, where you will see some familiar questions (i.e., questions previously asked in our online member survey). The default payment option is set to be automatic renewal. Please use the pull-down menu to select manual payment if you are not 100% sure that you want automatic renewal for the future. Remember that you can easily change the payment method anytime. Please note that your annual dues are based upon a January 1 – December 31 fiscal year. You may notice that your next payment is due before January 1. We set the due date earlier just to make sure we have time to send your subscriptions to the journal publishers before the first issue is printed.